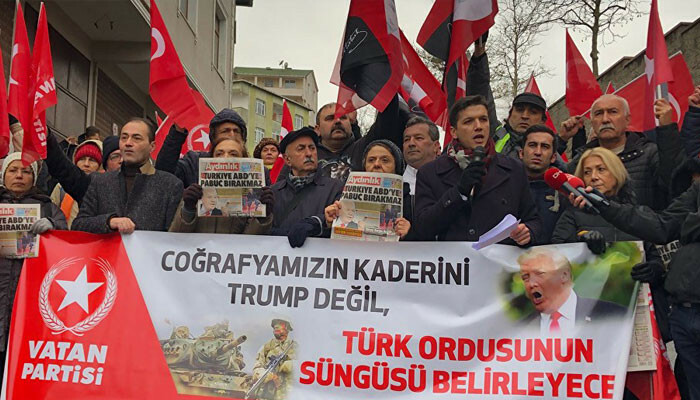 A protest against Donald Trump, organized by the Turkish non-parliamentary left-wing nationalist VATAN party, took place today in front of the US Consulate in Istanbul. “Turkish people have always lived and fought together with the fraternal Kurdish people. No one can break this fraternity”, he said.